Place the peeled and sliced tomatoes in a colander in the sink in 1 layer. Sprinkle with salt and allow to drain for 10 minutes. 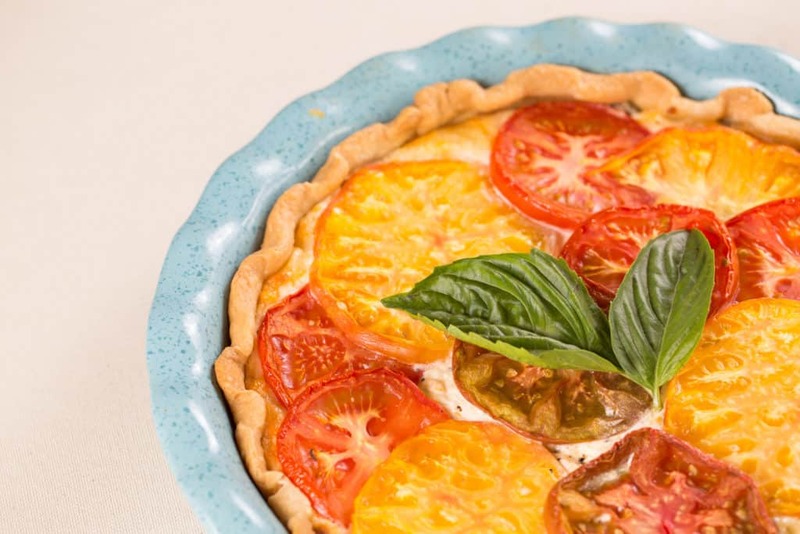 Layer the tomato slices, basil, and onion in pie shell. Spread mixture on top of the tomatoes and bake for 30 minutes or until lightly browned.